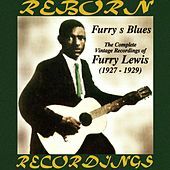 Furry Lewis' recordings stand as an important link from the traditional early blues and Ragtime of the late 19th century to the music of the following century. Though mostly overlooked until the 1960s, Lewis recorded amazing songs in the '20s that still stand the test of time, and he picked up his guitar to make more when he gained appreciation years after he began. He was a great Memphis storyteller, singing tales with earthy moans and the hint of a lisp. His guitar playing was top-notch, mixing slide guitar with altered tunings and fingers that seemed to have minds of their own. Lewis' playing is intricate and ever-changing; he never played a song the same way twice. Altering the steady bass and treble lines of his deft fingerpicking (and even the lyrics to original and traditional songs), Lewis brought it all together in loosely set structures. 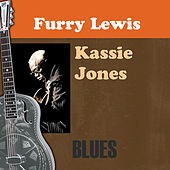 His versions of "Kassie Jones" and "John Henry" are some of the best blues recordings in history.